My new year started in prison; I was incarcerated in Cramlington. My wardens were very friendly. They wore grey suits and tried to make light of my misery – there were 21 of us miscreants in a single cell – but nevertheless told me, in the strictest terms, that I was not allowed to leave, use my mobile phone, or, most important, nod off. Which, over four hours with acute jetlag, was very tough justice. I was undoubtedly guilty and had only myself to blame. I was driving to London when, somewhere in the dull flatlands of Cambridgeshire, after 200 miles of steady 70mph, I hit the sole stretch of the route with a 50mph limit. Most of my fellow prisoners seemed to have encountered a similar fate on Newcastle's Western by-pass. I was doing 57. This was exactly 10% plus 2mph over the limit, the minimum prosecution level (which is one of the most interesting things I learned on the course) and it put me into the “marginal” zone entitling me to swap the first ever 3 points on my licence (after 45 years of clean driving), for 4 hours on a National Speed Awareness course. Serious speeders aren’t given this option – they go straight to court. These courses are a clever device to raise money for speed cameras. 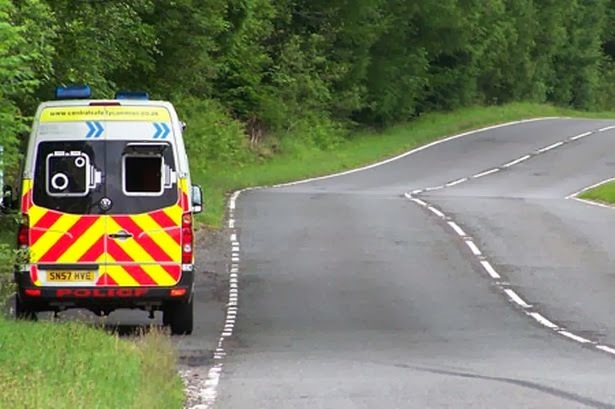 They are advertised as “partnerships” between the police and the commercial organisations that run them, but in fact £35 of the £84 fee goes to the Northumbria Safer Road Initiative, the police-council partnership that funds the cameras that catch the people to send on more courses. A really virtuous circle. I’m aware that road safety campaigners are already composing furious letters to me saying that these courses are valuable contributors to road safety and have done a wonderful job in reducing accidents. In fact, the number of fatal accidents has halved since the courses began in 2000, but as only a quarter of accidents are down to speed, and there have been many other improvements, like much safer roads and vehicles with a ton of safety technology, I don’t think their effectiveness is actually proven. The affable bloke sitting next to me had been caught speeding four times and was on his second speed awareness course, but he still thought that the limit on single carriageway rural roads was 50mph (it’s actually 60, though navigating Northumberland’s infamous potholes at any speed is not for the fainthearted). The courses became popular when Labour “abolished the war on motorists” by taking away speed camera revenue from councils and giving it to the Treasury. Since then there’s been an incentive for regional authorities to entice people to pay for courses rather than take points and fines. Revenue has soared, which is why many speed cameras pop up in places where you wouldn’t expect them to be needed. Last month, two of our senior regional politicians protested that on the notoriously dangerous A697, no mobile cameras had been used in the previous 6 months, despite there being 5 fatalities and 140 accidents in five years, and yet mobile cameras in an innocuous Morpeth street nabbed 2,300 drivers in a year. I don't deny that speeding is deadly serious, but if these courses aim to educate (and they are only for marginal rather than serious offenders), rather than punish or simply raise money, they fall seriously short. As visiting professor at one of the biggest universities in our region, I have to teach up to 80 students at a time. I try to make an impact in under an hour, occasionally two if it involves practical work. What I learnt on this course (some of which was quite interesting and a little of which was very important) could have been taught far more effectively in a couple of 20-minute sessions, the attention span of the average human. Which is probably why our instructors were so apologetic. “The length is set by the politicians," they said. It isn’t just long – it’s a sentence. The instructors did their best to cheer us up, but for four droning hours we sat watching a powerpoint and a few videos. At least I know my 2014 can only get better, if possibly a little slower. 10% and 2mph slower, to be precise.